SMASH NEW WAVE ROCK HITS FROM DAVID BOWIE, THE POLICE, CULTURE CLUB, BILLY IDOL, ELVIS COSTELLO, THE SMITHS, THE THOMPSON TWINS, NEW ORDER, THE PSYCHEDELIC FURS and many others. 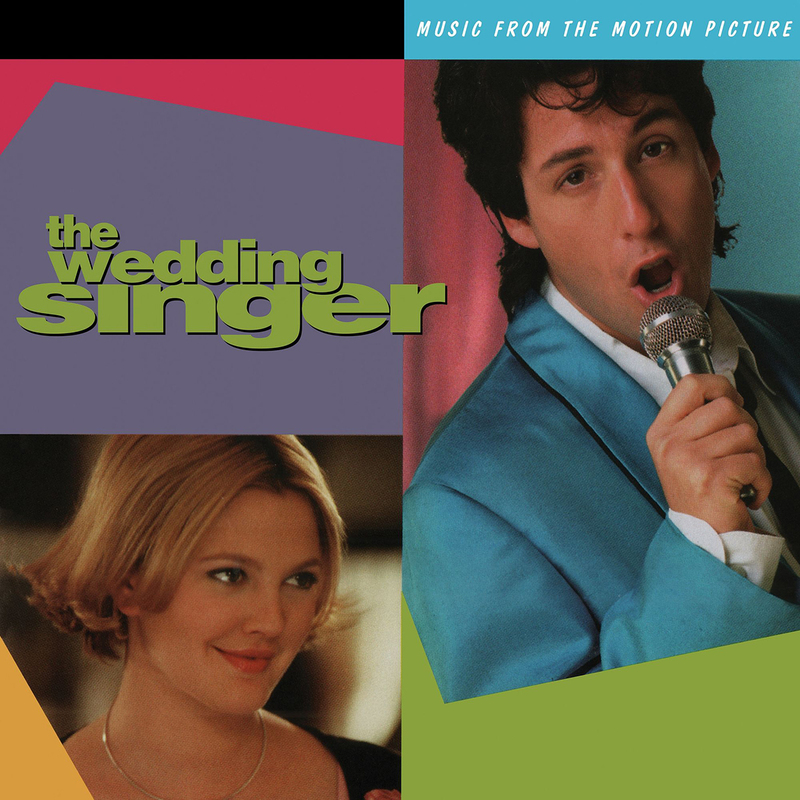 "The Wedding Singer" the blockbuster movie soundtrack to the 1998 Adam Sandler hit comedy was known for including some of the finest 80's new wave/rock music of the era. Featuring a treasure trove of top tracks from likes of The Police "Every Little Thing She Does Is Magic" to "White Wedding" by Billy Idol and "Love My Way" from The Psychedelic Furs, the incredible music speaks in volumes for a generation that brought this music to the mainstream forever. More alternative classics abound from major contributors like David Bowie with "China Girl", The Smiths "How Soon Is Now" and of course the techno smash "Blue Monday" by New Order. New wave pop classics from Culture Club like "Do You Really Want To Hurt Me" and the top charter "Hold Me Now" from The Thompson Twins are just some of the great songs you will hear on this amazing soundtrack. Friday Music is very pleased to announce the first time ever vinyl release of the smash movie hit "The Wedding Singer." Mastered impeccably by Joe Reagoso on 180 Gram Audiophile Vinyl, all of your favorite artists and songs from the 80's truly are represented in this wonderful compilation. To further enhance your listening hours, we are including a limited edition gate fold LP cover, which features photos from the film making this a memorable revisit for all.